When speed and performance come together in the commercial door industry, Horman and Dynaco Doors, brought to you by Overhead Garage Door, LLC, are the overhead door manufacturers that provide high speed commercial door solutions for businesses to meet their specific challenges and needs. 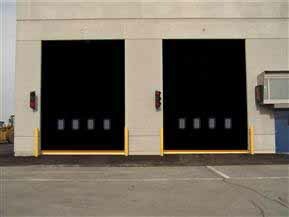 Whether it’s an interior closure that requires a door respond quickly for opening and closing in high traffic areas or an exterior opening that must rapidly open and close to keep up with fast pace loading and unloading, Horman and Dynaco have a high speed door to fit any fast moving, high performance commercial environment. 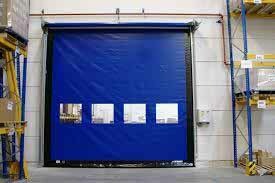 At Overhead Garage Door, LLC, we can match your specific industrial and business needs with one or many of the interior and exterior commercial high speed doors from Dynaco or Horman. 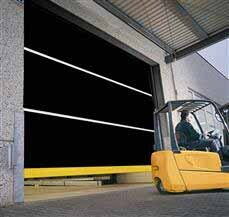 Interior applications – up to 14’0″ wide x 14’0″ high. 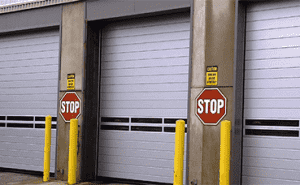 Exterior applications – up to 10’0″ wide x 10’0″ high. 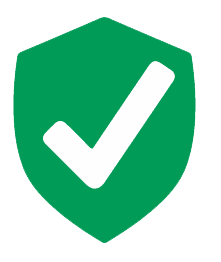 With insect screen material – up to 14’0″ wide x 14’0″ high.